It’s odd to remember the fact that forty years ago the artists who are now such familiar names in the dance scene were unknown. In Dance Umbrella’s first decade alone (1978–1988) choreographers such as Anne Teresa de Keersmaeker, Trisha Brown, Merce Cunningham, Compagnie Cre Ange, Steve Paxton and Mark Morris were among the international artists invited to perform in London, together with the UK’s Siobhan Davies, MAAS Movers, Rosemary Butcher, Richard Alston, Michael Clark and Shobana Jeyasingh among many more. Over the years DU has gone on to provide an astonishing eighty artists with essential funds to make shows, acting as a catalyst by investing in their visions, enabling audiences to see truly pioneering dance. DU’s belief in the power of helping artists this way still burns bright, and to celebrate our 40th year we have launched Four by Four — a programme inspired by the four decades of artistic growth, a way of moving forwards by looking back. 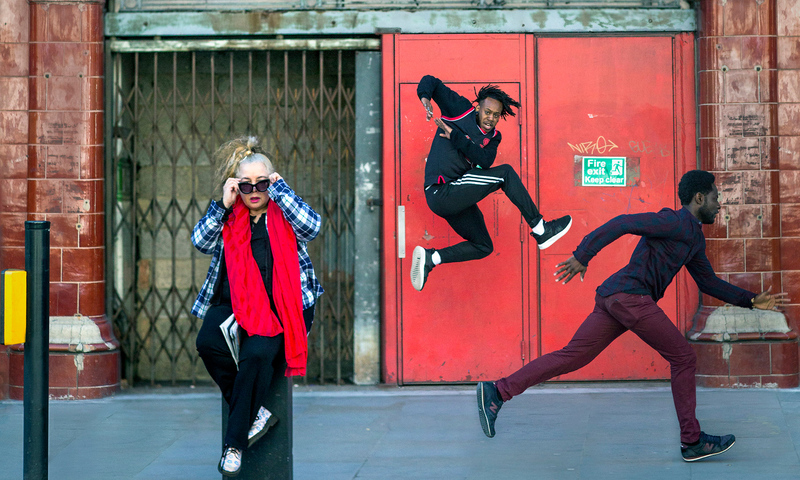 In Four by Four all three of DU’s Artistic Directors — Val Bourne CBE, Betsy Gregory and Emma Gladstone — have invited an established artist from their time at the helm to nominate a ‘choreographer of the future’. We’re delighted that Anne Teresa de Keersmaeker, Akram Khan, Stephen Petronio and Rocío Molina have agreed to take part. Each of the young choreographers they nominate will receive funding from Four by Four to create a show to be performed in future festivals.